With a shattered heart and her career completely in tatters, Lucy needs to get away from her life in the UK. But, when she takes a job as hotel manager of the Northern Lights Lodge, she doesn’t quite expect to find herself in the middle of a snowy nowhere, in a land of hot springs and snowflake-dusted glaciers, and in the company of a gorgeous Scot, Alex. To ask other readers questions about The Northern Lights Lodge, please sign up. It’s off to Iceland for the fourth trip in Julie Caplin’s Romantic Escapes series, treating us to happiness and high jinx at The Northern Lights Lodge. Having loved Alex as a secondary character in The Little Paris Patisserie with his quick wit and laid back nature, I went into this with a mix of excitement and wariness as that book didn’t entirely work for me. But, once introduced to Lucy Smart and her quirky, loveable bunch of employees who are, at times, as ma It’s off to Iceland for the fourth trip in Julie Caplin’s Romantic Escapes series, treating us to happiness and high jinx at The Northern Lights Lodge. Having loved Alex as a secondary character in The Little Paris Patisserie with his quick wit and laid back nature, I went into this with a mix of excitement and wariness as that book didn’t entirely work for me. But, once introduced to Lucy Smart and her quirky, loveable bunch of employees who are, at times, as mad as a box of frogs, all my concerns were quickly put to bed as it became clear that we were going to get along just fine. Friendship and trust is at the forefront of this story but not at the cost of the romance as was sadly my issue with its predecessor, and in keeping with the series the location is beautiful and the characters down-to-earth, relatable, endearing and so much fun to spend time with that I didn’t want my visit to end. Having lost herself a little, Lucy literally blossomed as she the story progressed, she absolutely deserves her happy ever after and Alex...well he was everything I was hoping for and more. A resounding success, The Northern Lights Lodge comes with a huge thumbs up from me and I’m excited see what delights are waiting in The Secret Cove in Croatia later this year. Copy received courtesy of HarperImpulse via NetGalley for an honest and unbiased opinion. I have long been an admirer of the covers of Julie's books but this is the first I've been fortunate to read - it won't be my last. Lucy is forced to leave her job in hotel management following an incident that leaves her relationship as well as career in pieces. She is desperate to be taken on elsewhere but finds nobody is interested without getting a reference from her previous job so she takes a leap of faith and agrees to become Hotel Manager at the failing Northern Lights Lodge in Iceland. W I have long been an admirer of the covers of Julie's books but this is the first I've been fortunate to read - it won't be my last. With poor trip advisor reviews and low occupancy, Lucy is forced to pull the staff team together to turn the hotel around. Lucy is only temporary so is also fighting to keep the job on a permanent basis. The staff sounded awesome, I would love to be part of a team like that- how they all pull together and there was genuine warmth to their friendship. Lucy also sounded like a manager I would happily work for, a solution for literally everything. This book had me laughing in places and it has serious moments too but overall it was a light-hearted read which had me eagerly turning the pages. Alex is working as barman and he turns Lucy's eye and aspects of this were very romantic. Alex is hiding a secret though, can Lucy forgive him when all is revealed? I have long been an admirer of hygge which sounds so cosy and snuggly! It is referred to as huggulegt in Iceland and this book has me totally converted to it, I think especially in the dark and snowy days it sounds beautiful and would help to settle me. I was a huge fan of Hekla in this book, assistant manager to Lucy - I hope she features in another book as I would love to see her character develop into the main storyline. I feel like I had been waiting forever for this book to finally be available, but wow it was worth the wait. It is another excellent story from the always talented Julie Caplin, and its a story that is set in Iceland. Makes a change to read something light hearted set in Iceland, instead of a noir book, and this is set outside Reyjavik, in a small hotel that offers Northern Light chasing trips. This lodge also offers a lifeline to Lucy, who is struggling to get a new job after a rather unfortuna I feel like I had been waiting forever for this book to finally be available, but wow it was worth the wait. This lodge also offers a lifeline to Lucy, who is struggling to get a new job after a rather unfortunate incident led to her getting sacked in her previous one. I loved not only seeing how Lucy was able to adapt to life in Iceland, but the few excursions she did and learning the culture and customs of this proud Scandinavian country. This is fabulous poolside reading, especially if you need cooling down, it didn't really make me much colder but the humidity in Thailand is hard to counter act, even when reading about winter temperatures in Iceland. I loved every moment of this wonderful book, and I'm already looking forward to Julie Caplins' next book. This is a really lovely, romantic book. Set in a place I would absolutely love to visit. I would love to see the Northern lights and this book just made me want to be there even more. Lovely. I loved her previous book, ‘The Little Paris Patisserie’ and I attended her book tour in November 2018 to promote that book. 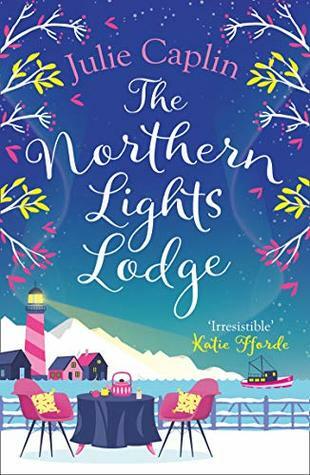 During the evening with Julie Caplin and Sue Moorcroft, Julie said that some of the characters fro As soon as I got a notification that ‘The Northern Lights Lodge‘ by Julie Caplin was available on Netgalley, I immediately requested it. I had been introduced to the books of Julie Caplin/Jules Wake last year by a friend, and I do have lots more of her books to read on my tbr. I adored this , this is the first Julie Caplin book I have read and now I am going to have to read the rest in the series. The characters were lovely, relatable, had real chemistry wether friends or romantic interests. The couple actually got together before the very end of the book which I loved. It’s a great feel good read. An absolutely fantastic book. Wonderful characters, brilliant descriptive scenic writing. Definitely made me want to visit Iceland all the more. I really enjoyed the story and setting of this book, as I have other Julie Caplin books. As a copyeditor myself though, the typos, errors (e.g., sometimes words were changed in an edit but parts of the old version of the wording was left in there), and grammatical issues in the Kindle version really distracted from what is otherwise a very good, cozy, and fun book. I could try and play it cool (haha Iceland, cool.. get it?!) but I can't I LOVED this. I've only just stumbled upon this series and have read the previous books in very quick succession so I was thrilled at the chance to head to Iceland on this next adventure. That being said, it works as a standalone (they all do) so you really don't need to have read any of the others. If you have - then you will recognise a few characters! Alex is one - he's really a secondary character in The Little Paris Pat I could try and play it cool (haha Iceland, cool.. get it?!) but I can't I LOVED this. I've only just stumbled upon this series and have read the previous books in very quick succession so I was thrilled at the chance to head to Iceland on this next adventure. That being said, it works as a standalone (they all do) so you really don't need to have read any of the others. If you have - then you will recognise a few characters! Alex is one - he's really a secondary character in The Little Paris Patisserie but I liked him then and now he comes into his own - I am so pleased we got to see more of him. The spy/love interest for our main lady Lucy, you are already on his side (even knowing his 'undercover' position) and it is soon clear he is actually falling for Lucy in every way possible. Lucy has been through a lot, mistakes in her past and awful behaviour by others abusing their power and position have left her needing the job nobody else would take on. She's pretty desperate. You don't really discover what has happened for a while, you see that she is vulnerable, lacking confidence and needs support. If I'm honest, I'd imagined far worse than what we find out but maybe that's just my mind - it isn't a pleasant situation for anyone to go through though. Various situations arise as she'd getting to grips with running the hotel and Lucy, with a good team of staff/friends, handles everything in a typically unique way and we see her rediscover passion for the job, remembering why she chose the career in the first place. She is hardworking and determined and it shows true spirit that she can bounce back. I like her, I hoped she wouldn't be a weak, sorry for herself kind of character but you see she is quite daring and willing to put herself out there. Just like the previous books, the setting sounds incredible. It is well written and moves along at a nice pace, yet again reading one of Julie's books makes me want to book a trip.So thats Copenhagen, Brooklyn, Paris and Iceland on the travel list!! In fact, Iceland and the Northern Lights has never really appealed to me before but now I could really be tempted. Julie Caplin gives us a wonderfully romantic escape with characters and places you'll love. I cannot recommend The Northern Lights Lodge enough, perfect for a cosy, snuggled up read. I will eagerly await the next book! Here I am travelling the world again with Julie Caplin. This time Iceland, somewhere I have always wanted to visit, even more so having read this book! Lucy takes a short-term contract at The Northern Lights Lodge a hotel in Iceland. It seems the perfect place to escape the gossip about why she was sacked from her previous high-flying hotel job in Manchester. Lucy finds herself in the middle of a snowy nowhere. Nothing is within walking distance apart from snow, glaciers and on occasion the North Here I am travelling the world again with Julie Caplin. This time Iceland, somewhere I have always wanted to visit, even more so having read this book! Lucy takes a short-term contract at The Northern Lights Lodge a hotel in Iceland. It seems the perfect place to escape the gossip about why she was sacked from her previous high-flying hotel job in Manchester. Lucy finds herself in the middle of a snowy nowhere. Nothing is within walking distance apart from snow, glaciers and on occasion the Northern Lights. Almost trapped in this hotel with a bunch of locals who seem rather crackers, the receptionist, the housekeeper, the chef and a gorgeous looking barman who comes from Scotland. Lucy finds that the best way to manage them all is to embrace the running of the hotel and bring it back to the place it was. Trouble is there is something working against her. Could it be the fairy folk that the locals say or is it more to do with the locals themselves. Is everyone who they really say they are? Is anyone else hiding at this lodge and are their reasons legitimate? Falling in love with the place and maybe the barman might not seem like a good idea when you are only there temporarily but the place has got to Lucy as it did to me. I can see myself waking up to the snow described scenery from the bedroom window. Embracing the hot chocolate round the open fire and the wonder of the Northern Lights when they appear. Some eccentric staff sound the best form of entertainment in such a far away place. I ordered this book after finishing Julie's Parisian escape. I thought it would be a treat to read in the dark months after Christmas, however, it was delayed and finally arrived in March. I'm not sure why it was delayed as I still came across some jarring typos. 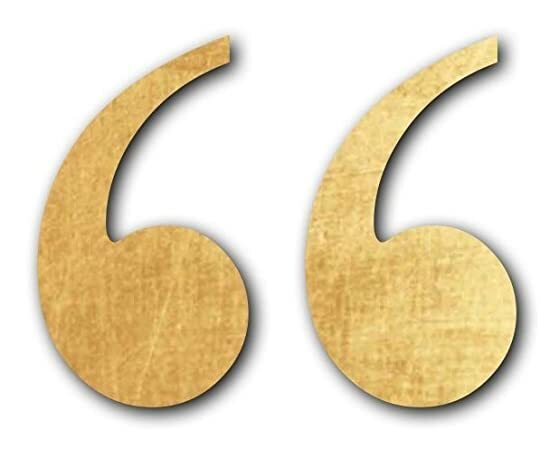 I recently read an American author who stated that her early writing (for a male audience) was praised with the comment that 'you can't tell it's not a man writing'. However, her bestselling autobiography was described dismissively as ' I ordered this book after finishing Julie's Parisian escape. I thought it would be a treat to read in the dark months after Christmas, however, it was delayed and finally arrived in March. I'm not sure why it was delayed as I still came across some jarring typos. I recently read an American author who stated that her early writing (for a male audience) was praised with the comment that 'you can't tell it's not a man writing'. However, her bestselling autobiography was described dismissively as 'chick-lit'. She was bemused as to why books women enjoy should be treated as inconsequential. She was still the same writer presenting her views and experiences to her audience. This book is unashamedly aimed at women and is a highly enjoyable read and it is the best in the series so far. In the previous book, we met Alex, the GM of a Parisian hotel who allowed his friend Sebastian to stay in one of its room. Here his boss sends him to Iceland to check out a hotel he is thinking of buying. The hotel looks good but there has been a high turnaround of GMs. Alex isn't happy working undercover but opts to pose as a bartender. Lucy is sleeping on her friend's sofa after losing her job as a GM in a prestige Manchester hotel, along with her boyfriend and self-confidence. The position of GM of The Northern Lodge is her chance to prove that she can still do the job she used to love. As she experiences the natural wonders of Iceland she reconnects with herself and learns to trust others again. I chose this novel by its cover, shame on me I know. Luckily for me this book is even better than the adorable cover! This book follows Lucy after she takes a job, the only job left for her really, at a remote hotel in Iceland. Determined to turn this temporary position into a permanent one she tries to regain her confidence and trust in others after being burned badly with her last job. While most of her new employees are willing to help her turn the Northern Lights Lodge around there's at least I chose this novel by its cover, shame on me I know. Luckily for me this book is even better than the adorable cover! This book follows Lucy after she takes a job, the only job left for her really, at a remote hotel in Iceland. Determined to turn this temporary position into a permanent one she tries to regain her confidence and trust in others after being burned badly with her last job. While most of her new employees are willing to help her turn the Northern Lights Lodge around there's at least one person that's doing anything they can to mess things up and leave Lucy jobless yet again. I found this book utterly charming. It's gritty enough to not be boring and fluffy but sweet enough to be a perfect light read afters some heavy ones prior to it. The romance is believable and the cast of characters are a delight. There isn't a single one I wouldn't want to meet IRL (ok, maybe not Bob, he's a jerk). This is my first time reading a book by Julie Caplin and it won't be the last! As you can tell, I haven't read the previous novels in this series and I don't find that it suffered at all for it. I think that there may be a brief cameo from the characters in the book prior but that's all so if this is your first by her as well don't fear, you won't be remotely lost without having read the others! I highly recommend this book for anyone that enjoys modern romance novels with a smart and funny heroine and a genuine nice guy hero. I received an early copy copy of this book from Netgalley in return for an honest review. I have read the previous books in the romantic escapes series, this being book four. There were a few references to previous events, and one of the characters, Alex is one of the main characters in this book. It could easily be read as a standalone novel though. The setting of the book is gorgeous, as is the cover, it is very enticing. Set in Iceland, at the Northern Lights Lodge, I have always wanted to see I received an early copy copy of this book from Netgalley in return for an honest review. The setting of the book is gorgeous, as is the cover, it is very enticing. Set in Iceland, at the Northern Lights Lodge, I have always wanted to see the Northern Lights, and this book made me even more eager to see them one day. Lucy finds herself taking a temporary job in Iceland, after losing her previous job. With no references, she finds it impossible to do d work, and this is her only opportunity. She soon finds that working in the lodge is very challenging, as things keep going disastrously wrong. Lucy’s life is not what she imagined. She’s lost her prestigious job, her reputation and her lover. She doesn’t want to work at a remote hotel in Iceland but it’s her only option. Alex is tired of If your reading likes include romance, delicious food, stunning settings and believable characters, the Northern Lights Lodge is the perfect book for you. The fourth book in the #Romantic Escapes series, it tells the story of Lucy and Alex as they fall under the spell of the Northern Lights in Iceland. I have been a fan of Julie Caplin since I read The Little Café in Copenhagen, each book she releases only increased my love of her work. I jumped into #TheNorthernLightsLodge with both feet, under the glow of my cotton ball lights I wrapped myself up in a fleece blanket, steaming mug of coffee, a chocolate or two within easy reach and didn’t move until I was at least a third of the way through. For me, it’s the characters that get me every time. Yes, you have the dramas of Lucy and Alex but as you read you start to feel that you, yourself are part of the story, relaxing with the staff after hours and frustrated for them when it feels like someone is out to get them. 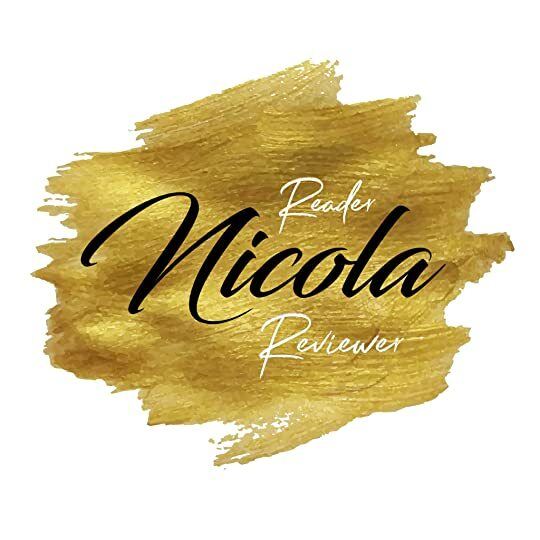 My thanks to #Netgalley and #HarperImpulse for allowing me to read and review it in advance, I can’t say enough good things about it, just buy it and see for yourselves. The Nothern lights Lodge is an honest to goodness delightful read, it’s playful as well as romantic and like hot chocolate, good for the soul. When Lucy's life is turned upside down by being sacked from her prestigious hotel management job, after being set up by her ex boyfriend, she wants to run away as fast and as far as she can and so ends up at the Northern Lights Lodge in Iceland. She is determined to turn the hotel around and make it successful again without any distractions........ but will Alex the gorgeous Scottish barman allow her to do that! A lovely warm cosy book that draws you in from the first pages, the characters are a When Lucy's life is turned upside down by being sacked from her prestigious hotel management job, after being set up by her ex boyfriend, she wants to run away as fast and as far as she can and so ends up at the Northern Lights Lodge in Iceland. She is determined to turn the hotel around and make it successful again without any distractions........ but will Alex the gorgeous Scottish barman allow her to do that! A fun, quirky read.....nice romantic book. This is my first Julie Caplin book and won’t be my last. Lots of interesting information about Iceland and the Northern Lights. I really enjoyed this book. I loved the description of the characters, described in a way I could actually visualize what they looked like and how they acted. There are lots of humorous aspects to this story which made it a fun, enjoyable, laugh out loud read. Many thanks to NetGallery, the publisher and author for the opportuni A fun, quirky read.....nice romantic book. This is my first Julie Caplin book and won’t be my last. Lots of interesting information about Iceland and the Northern Lights. The story was well crafted, and it should have been a good read. But it seemed as if they neglected to use a proof reader. I was pulled back to reality by the far too numerous misspellings and punctuation errors. I find it extremely difficult to stay engaged in a story when I’m constantly aware of errors. From “One upon a time,” a few pages in, it seemed as if every fifth page had an error. So, 4 for Julie Caplan’s storytelling and 0 for presentation. Loved it. Feel as if I have been to Iceland without having to actually experience the cold. Would love to see the Northern Lights. I especially enjoyed the adventure on the glacier, as I have been on one and fallen. A charming love story. An interesting look behind the scenes of hotel management. My first book by Julie Caplin, but I certainly look forward to reading more. Thanks to the publisher for providing a copy via NetGalley. This whole series is Fabulous. Every book has made me want to travel to the destination and also spend ages researching that they go cause I’m so jealous of the characters (is that just me or does anyone else do that too) I love the use of Icelandic words in the book and the meanings getting described and how fast Lucy comes up with solutions to the Huldufolk. A good, entertaining, and enjoyable book that will make you wish you were in Iceland. I loved the fascinating setting as much as I liked the characters and the plot. The style of writing was good and the characters fleshed out. It was a very good reading experience and I look forward to reading other books by this author. Many thanks to HarperImpulse and Netgalley for this ARC. I voluntarily read and reviewed this book, all opinions are mine. This is the newest installment of the travelogue and romance combination. Lucy is a great heroine ,plucky and courageous in the face of personal and professional traumas. Alex is a dream hero. The writer create a wonderful cast of supporting characters and they also visit some of the best of Iceland. Lovely. I’m almost convinced that a trip to Iceland would be great fun! Reading this has been an adventure in itself. The author’s powers of description are incredible. Hop on an have a wonderful time!!!! I enjoy this series so much! I love that each book takes place somewhere else and that Caplin really gives a feel for the people, the culture, and the location. As with all her other books, the characters are engaging and I really liked getting to know them. I can't wait until the next book! This is my second book that I read after this author. I’m from Iceland and I was curious to read a story that happens in my country. I new the area where the story was happening. The author did get good descriptions about the culture and country. I liked the story and would recommend it. I love this series. Such a fun read that takes you to a different country in every book. Really enjoyed the 4th in this series. Off to Iceland this time. Nice easy read that makes me want to visit Iceland. Looking forward to number 5 already. It's not going to change the world BUT it made me smile from start to finish... What's better than that?